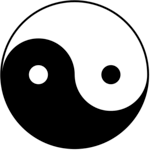 Calculations at half a yin-yang symbol or taijitu, a symbol in Chinese philosophy. 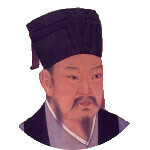 Similar symbols are known by other cultures as well. A yin-yang half has the perimeter or circumference of a circle and the area of a semicircle. 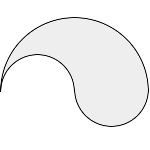 It is made of a semicircle, of which on one side a semicircle with half the size is subtracted and added to the other side. Enter one value and choose the number of decimal places. Then click Calculate.